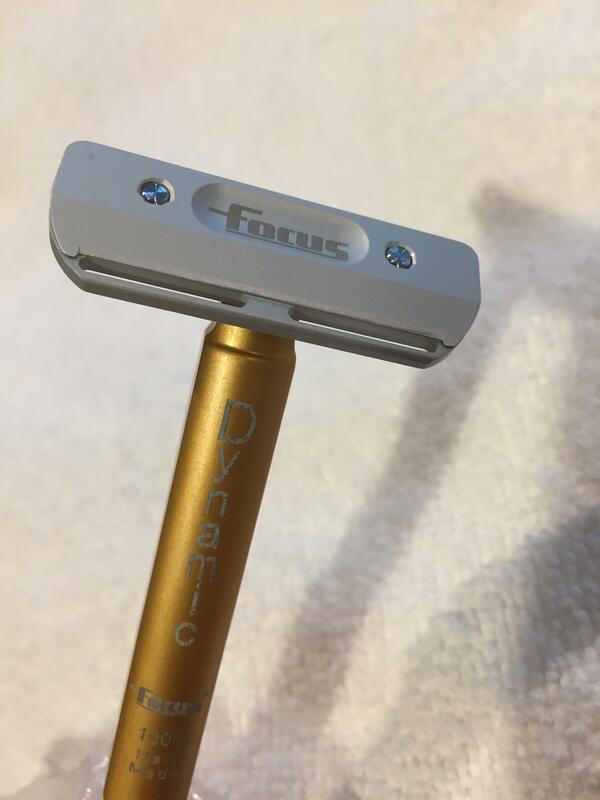 I'm selling my back up Focus with the gold handle which has only been used once. 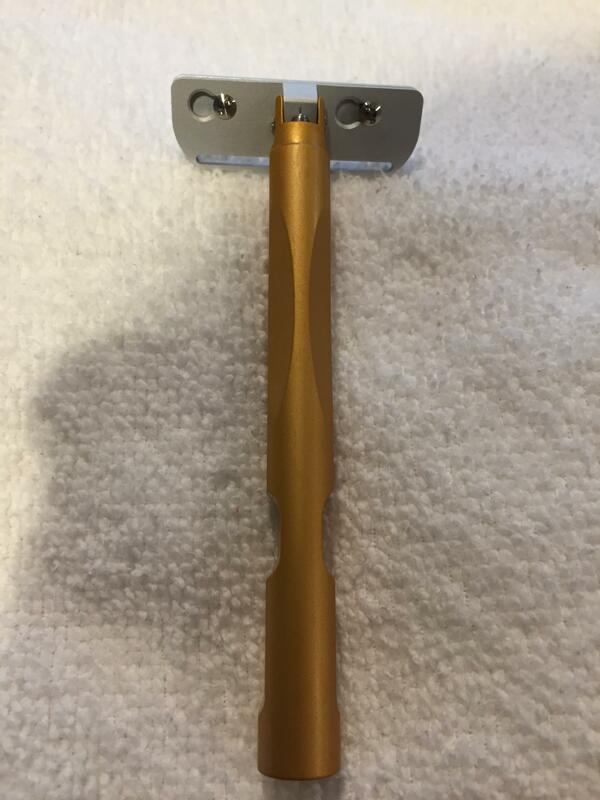 For those that may not know, the Focus takes 1/2 DE blades and has a head that pivots. 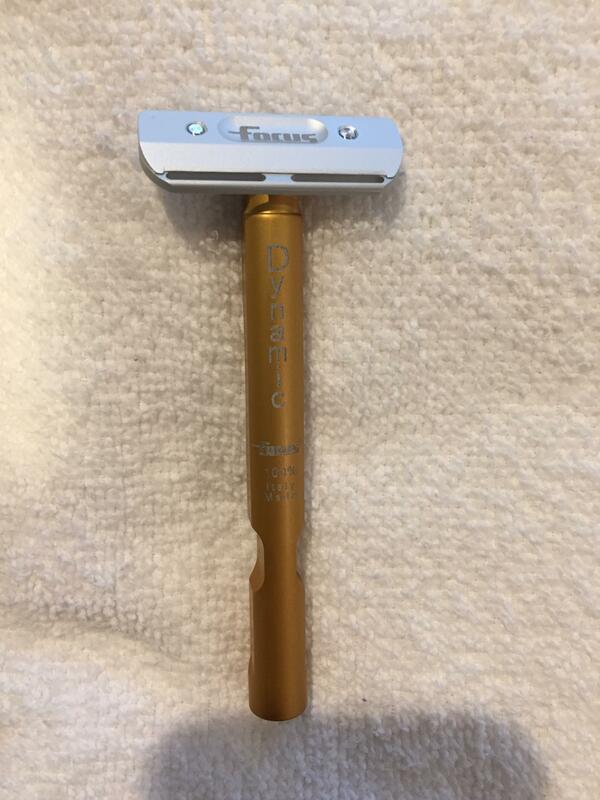 I love the Focus but need to seriously thin out my razor collection and back ups for most my razors need to go. Sells for $60 with shipping included. I am selling mine for $50 including USPS Priority shipping. CONUS only please. Price now $45 shipped.Now $42 shipped CONUS.